Everything about Mr Big is big. 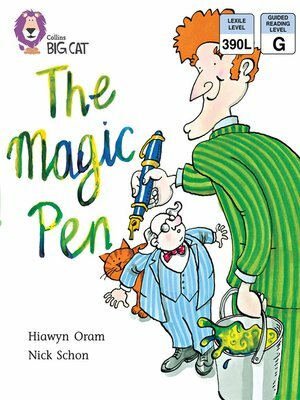 And ordinary pens just won't do; every time he tries to write, Mr Big's ordinary sized pens break. So Mr Big drives to the shop in his big car to buy a big pen. But size is not the only suprising thing about Mr Big's new pen. Blue/ Band 4 books offer longer, repeated patterns with sequential events and integrated literary and natural language. Text type - A fantasy story. A storyboard on pages 22 and 23 provides a pictorial summary of the story in eight frames, an ideal cue for further discussion and activity. Curriculum links - Numeracy: Shape, space and measure.